Kemi Ogunyemi, of the Christopher Kolade Centre for Research in Leadership and Ethics, teaches business ethics, managerial anthropology, self-leadership, and sustainability management at the Lagos Business School, Pan-Atlantic University, Nigeria. She holds degrees in law and business and a PhD in management. Her consulting and research interests include personal ethos and organizational culture, responsible leadership and sustainability, and work–life ethic. 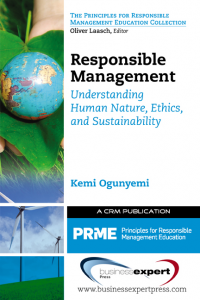 She has authored over twenty articles, book chapters and case studies, and the book titled Responsible Management: Understanding Human Nature, Ethics and Sustainability. 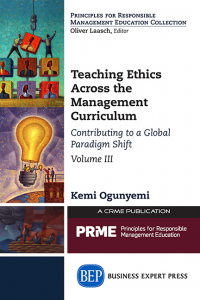 She also edited a key resource for management educators, Teaching Ethics across the Management Curriculum. She is a member of ABEN. 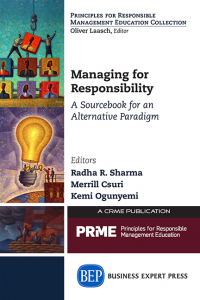 BEN-Africa, EBEN, and ISBEE, and co-developed the UNGC-PRME Anti-Corruption Toolkit.